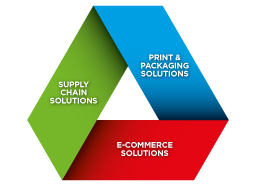 The Elanders Group offers global integrated solutions in the areas supply chain management, print & packaging and e-commerce. The Group operates in some 20 countries on four continents and the most important markets are China, Germany, Singapore, Sweden, the United Kingdom and the USA. Elanders is publishing this strategy statement in relation to its United Kingdom (UK) subsidiaries’ approach to tax risk management and to tax planning in the UK. This statement will remain in place from 31 December 2017 until superseded. Responsibility for the tax strategy, the supporting governance framework and management of tax risks ultimately sits with the Chief Financial Officer of the Elanders Group, supported by the Group Finance department. Key risks and issues related to tax are escalated to and considered by the Group Audit Committee on a regular basis. Tax compliance and reports risks are risks associated with compliance failures such as submission of late or inaccurate returns, the failure to submit claims and elections on time or where systems and processes are not sufficiently robust to support tax compliance and reporting requirements. Transactional risks are risks associated with undertaking transactions without appropriate consideration of the potential tax consequences or where advice taken is not correctly implemented. Reputational risks are non-financial tax risks that may have an impact on the firm’s relationship with stakeholders, clients, tax authorities and the generic public. Elanders aims to manage tax risks in a similar way to any area of operational risk. The business is supported by oversight functions from the Group Finance department. Where appropriate, Elanders look to engage with tax authorities to disclose and resolve issues, risks and uncertain tax positions. The subjective nature of many tax rules does however mean that it is often impossible to mitigate all known tax risks. As a result, at any given time, the Group may be exposed to financial and reputational risks arising from its tax affairs. Where the interpretation or application of tax laws is not clear, Elanders will take well-reasoned positions considering legal precedents and administrative positions of HMRC, and engaging external advisors where considered necessary. Elanders recognizes the responsibility to pay an appropriate amount of tax in each of the principal jurisdiction in which it operates. The aim is to balance this with the responsibility to shareholders to structure our affairs in an effective manner. In structuring its commercial activities, Elanders will consider the tax laws of the countries within which it operates (in addition to other relevant matters) with a view to maximizing value on a sustainable basis for the stakeholders. Tax planning related to the UK is not undertaken unless it is consistent with commercial objectives. Elanders intends to fulfil its tax obligations in accordance with UK tax laws and practice. Relevant facts and circumstances, and claim reliefs and incentives (where available) shall be disclosed to HMRC. Elanders also ensures that appropriate arrangements are in place to calculate accurately the tax liabilities and to pay the appropriate amount of tax in the right place on a timely basis. Elanders sees compliance with tax legislation as key to managing its tax risk. The aim is to be compliant in all jurisdictions with regards to taxes. Where there is significant uncertainty or complexity relating to an identified risk, external professional tax advise may be sought. The Group’s tax risk appetite requires that, where tax law is unclear or subject to interpretation, its adopted tax position is at least more likely than not to be allowable under applicable tax laws. Elanders engage with HMRC with openness, honesty, integrity, respect and fairness and with cooperative and proactive compliance. Elanders seeks to avoid disputes and, wherever possible, seeks to resolve any disputed matter through proactive and transparent discussion and negotiation. Positions on UK related tax matters that may create reputational risk or jeopardize the good standing with HMRC are avoided. The publication of this statement is regarded as satisfying the statutory obligation under Paragraph 16(2), Schedule 19, Finance Act 2016.